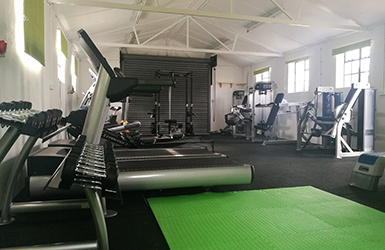 Personal trainer Tim Strike can help you get fit, lose weight and stay in shape with a bespoke excercise programme at the Stanton Gym private fitness studio in North Suffok. 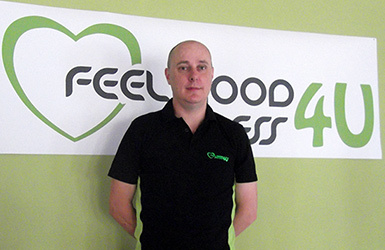 Personal trainer Tim Strike provides one to one training sessions and fitness classes in Stanton, North Suffolk. Training sessions are based in our private fitness studio: Stanton Gym. Our goal is to help people to improve their health and fitness and to feel good about themselves. One to one personal trainer sessions from Tim Strike are tailored to your individual fitness needs. Train at our gym in Stanton - near Hopton and Ixworth in Suffolk. Stanton Gym is a private fitness studio, available for your personal training. You will be the only client there during a one to one gym session so you won't bump into people you know. 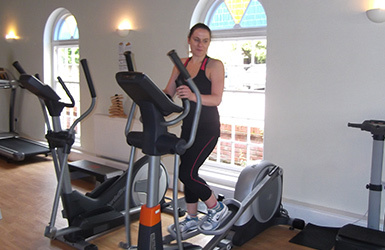 It is a friendly and relaxed space, perfect for exercising away from distractions. Our private fitness studio at Stanton Gym, Suffolk is the perfect venue for personal training sessions. It is a large flexible area with lots of different fitness equipment available to keep sessions fun and varied. Our approachable staff will actively support you in achieving your fitness goals. Whether you want to get fit, lose weight, tone up or just maintain a healthy lifestyle, Feel Good Fitness 4u can provide you with the healthy exercise you need; from one to one training to a range of fitness classes run in our Stanton Gym fitness studio. Our training sessions are affordable, friendly and tailored to you. © Copyright 2018 Feel Good Fitness 4u. This website uses only essential cookies and does not track or record personal information.